Doctor Aphra is a Star Wars character that was created in the Star Wars Marvel comics. 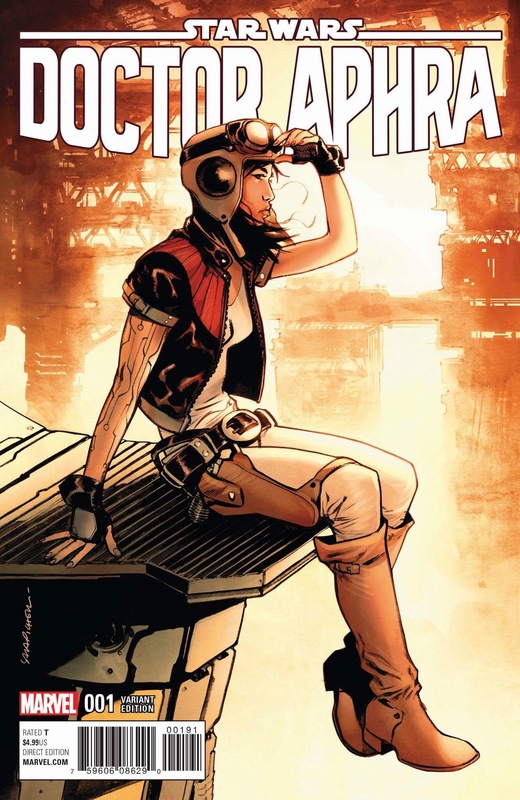 Aphra was recruited as a special agent of Darth Vader in the Marvel series Darth Vader (Vol 1) she made her first appearance in the series in Darth Vader #3 and was a regular character in the series after that. Doctor Aphra won a poll to become a character that gets a vintage figure made by Hasbro.